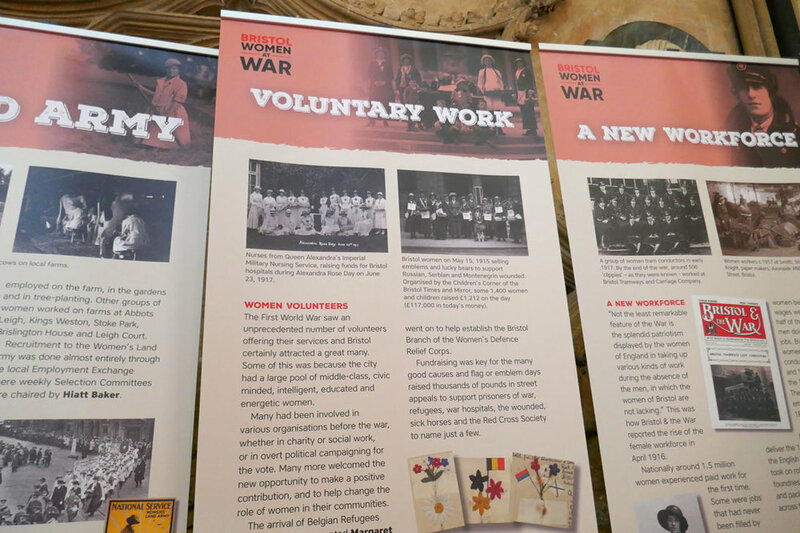 Bristol Women at War, a free exhibition at Bristol Cathedral, examines the types of war work performed by women during WW1 and charts the shift in the workplace as women took on jobs traditionally performed by men. The exhibition examines the women taking leading and influential roles in organisations like the Bristol Inquiry Bureau and the Red Cross Society, and tells the stories of often unsung ‘sheroes’ including the women who kept families running whilst husbands, sons and brothers were away. The exhibition has been produced and designed by Bristol Books and sponsored by Bristol Cathedral. With thanks to Bristol Great War Network and in particular Clive Burlton, Jacqueline Wadsworth and Eugene Byrne for providing the content. 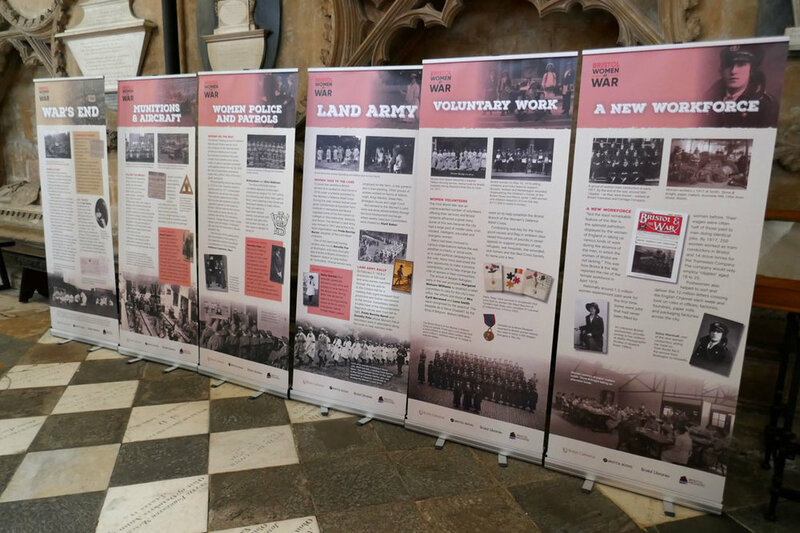 Bristol Women at War is on display in The South Quire Aisle, Bristol Cathedral, and runs from 15th January to 24 March.